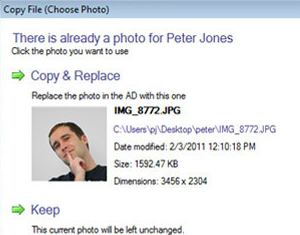 With Exclaimer Outlook Photos you can import staff photos into Active Directory image attributes like thumbnailPhoto and jpegPhoto. 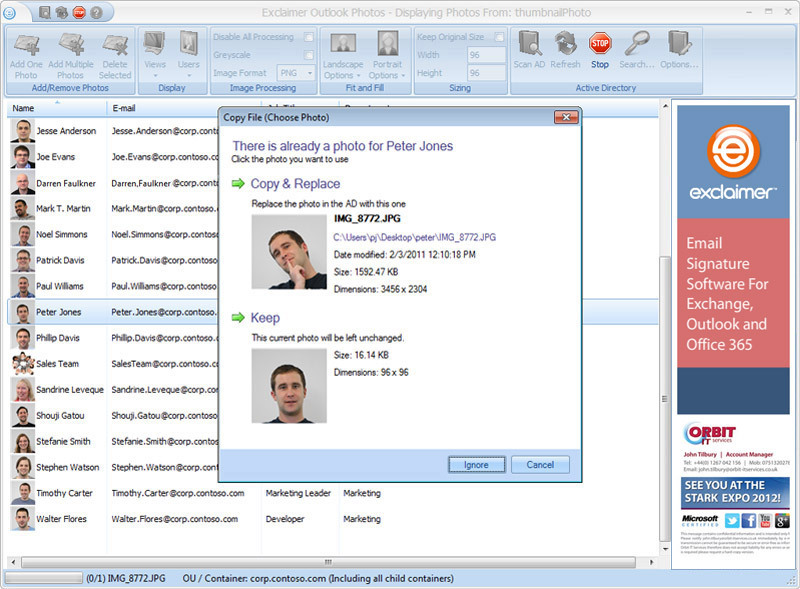 Exclaimer Outlook Photos is a fully free product. There's no requirement to license it and we withhold no functionality from the product you download – it's not a free version of the product: the only version is always free. 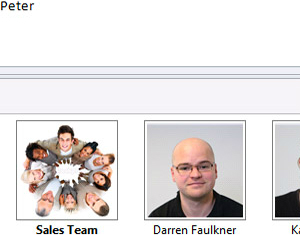 Give everyone a photo portrait in the Outlook People Pane, their SharePoint profile and on Microsoft Skype for Business. We auto-match pictures to names or other data in the Active Directory – matching the user 'Karen Green' with her photo in 'KarenGreen.jpg' so you don't have to. Don't worry if your photos aren't the right size, we'll automatically crop and center them so you get the right content and the right sized photos. And it's not just about importing, our familiar and intuitive interface lets you browse everyone's photo and filter for different containers in your AD so you're not overwhelmed if you work in a large organization. 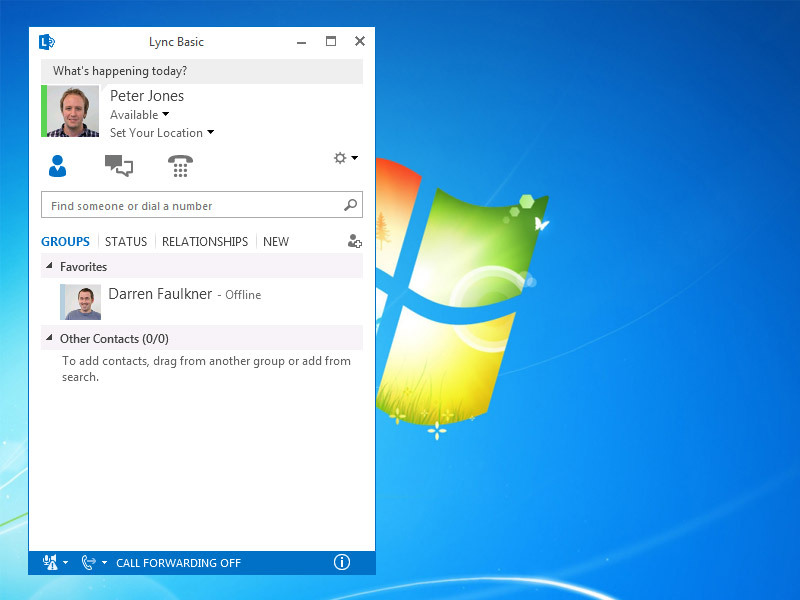 Outlook Photos can only add photos to your AD – so someone outside your organization, on a different network altogether, won't be able to see your photo in the Outlook People Pane. 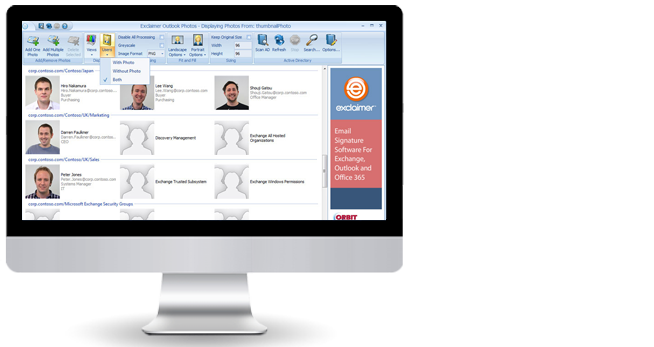 But with our Exchange signature software and Outlook signature software, you can control everyone's email signature and disclaimer centrally – and put your portrait on any email you send, to anyone. And best of all, you can set rules to decide which emails display photos – so your customer facing staff show a photo but your IT people don't. There's no requirement to license it and we withhold no functionality from the product you download – it's not a free version: the only version is always free. 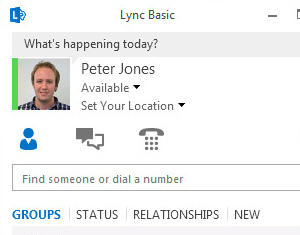 Whether they're in a 100,000-user tech giant or a 20-person consultancy, thousands of admins with a combined total of 3 million users worldwide have relied on Outlook Photos to put photos in the AD. Not sure about some of our features? 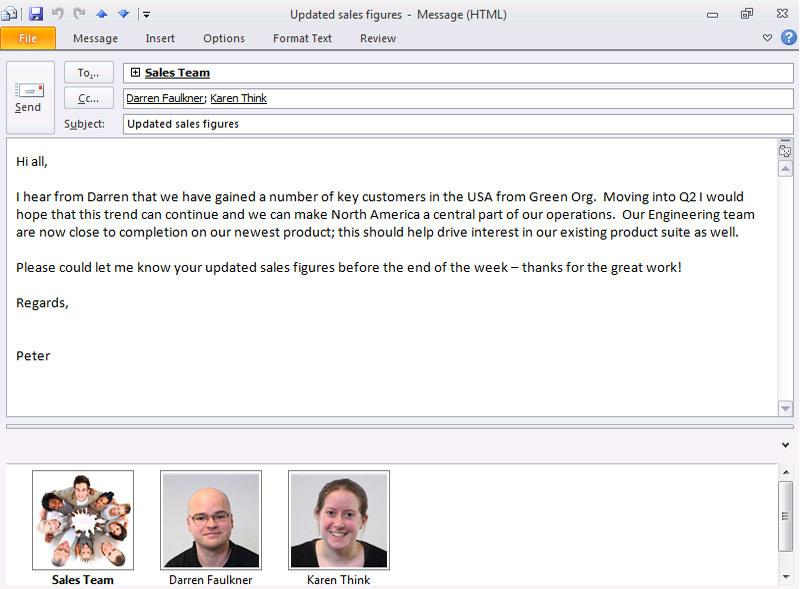 Talk to a sales advisor who can explain everything Outlook Photos is capable of.